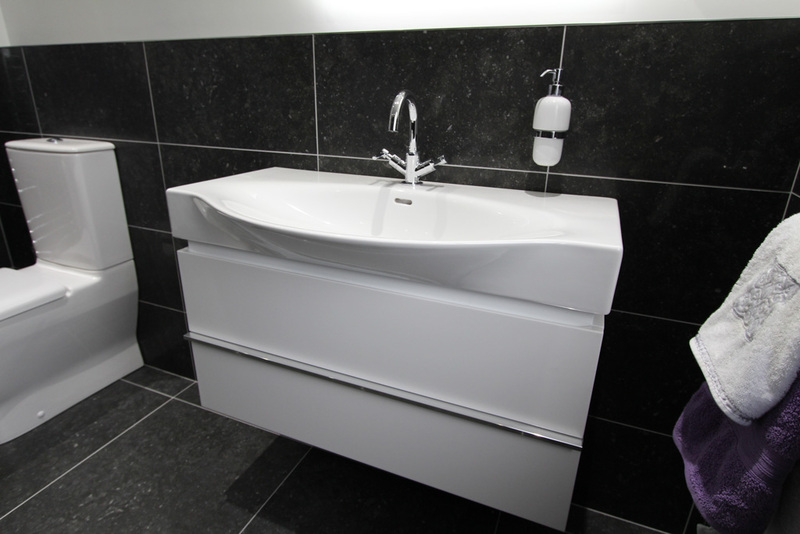 This beautiful Bagno Design bath takes centre stage in this refurbishment. 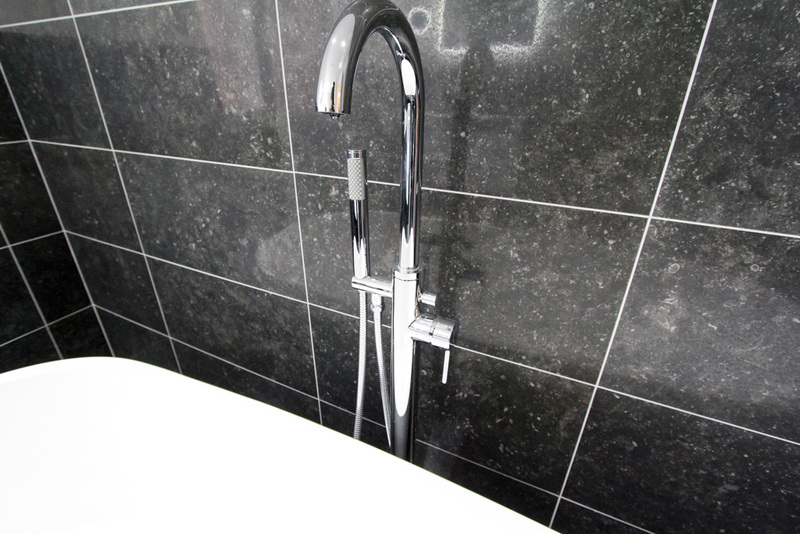 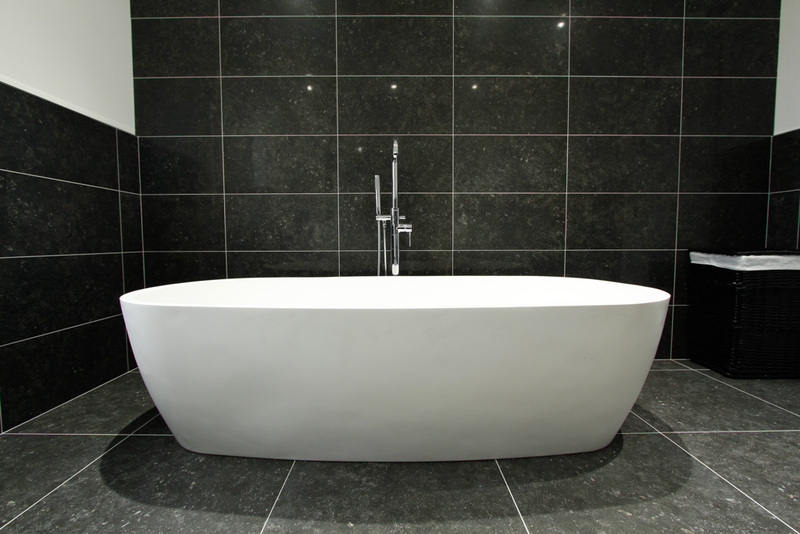 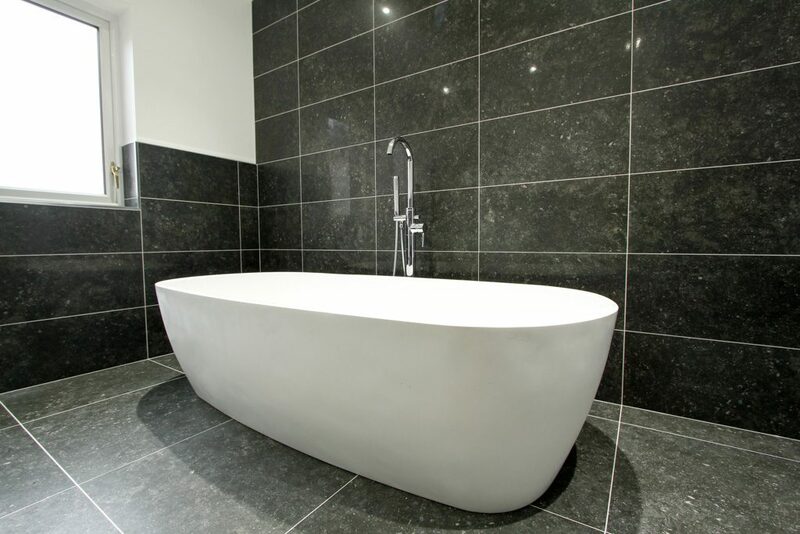 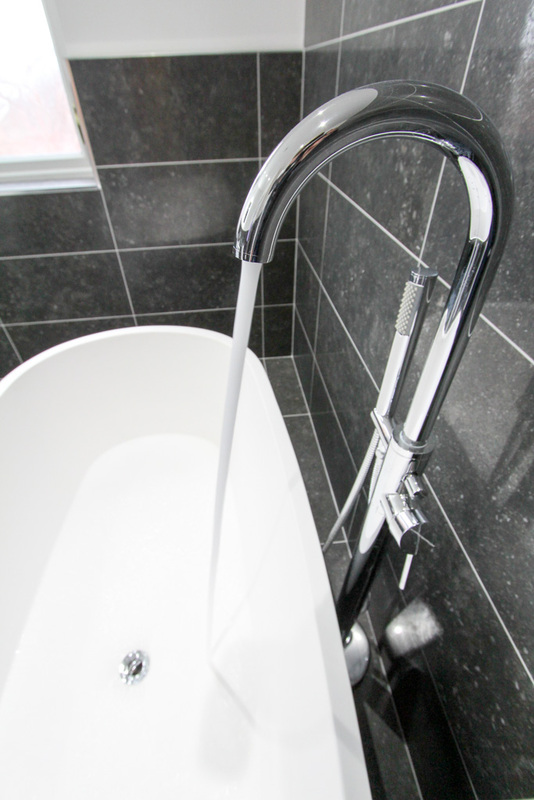 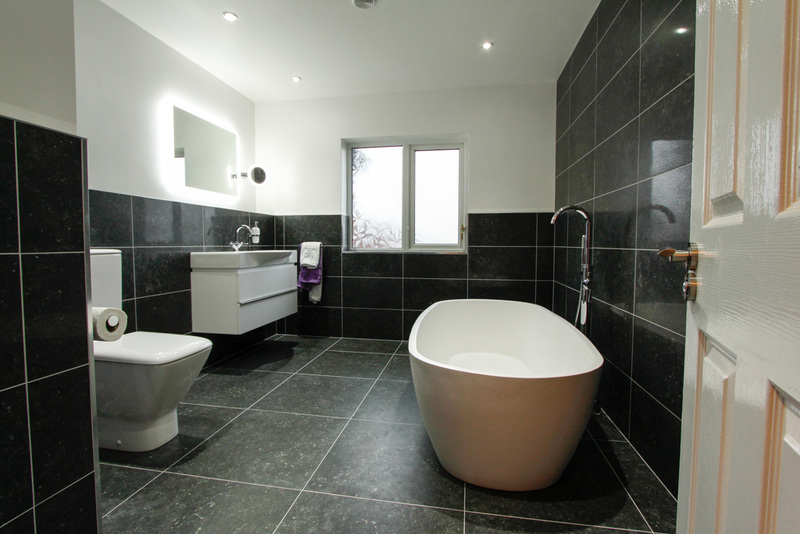 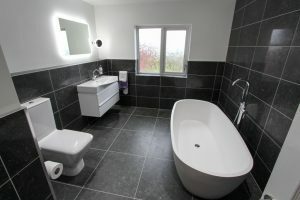 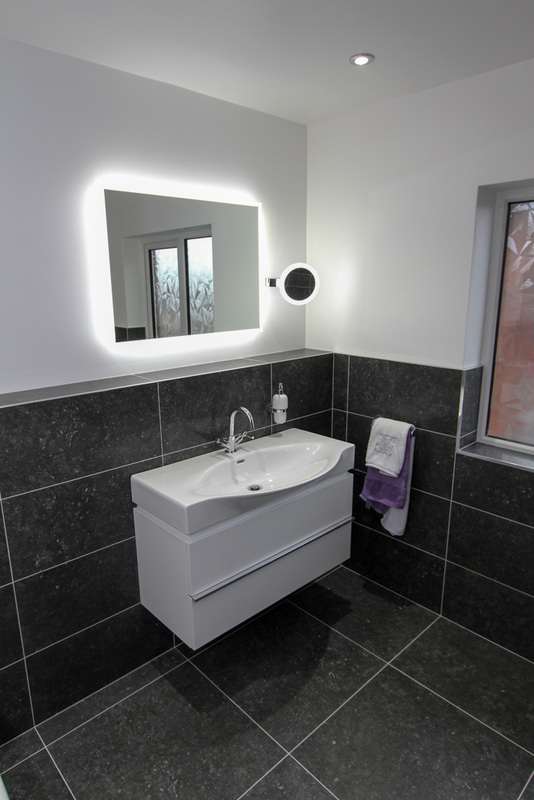 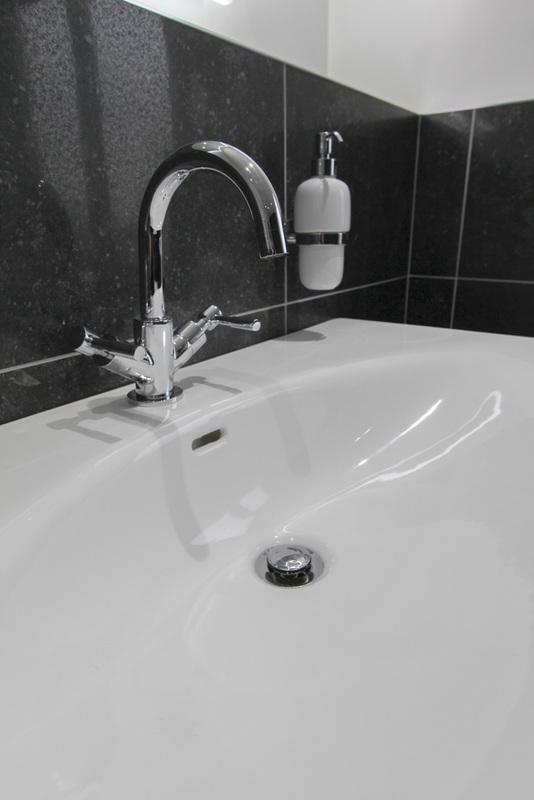 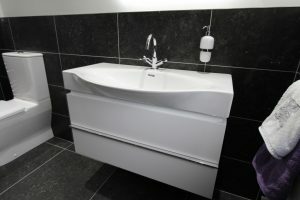 The matt white finish on the bath looks excellent against the shiny lappatto finish on the black tiles. 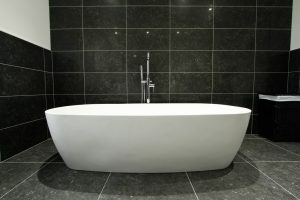 Pure luxury!